SO I have mentioned before that I loathe lunch at work, I mean I try my hardest to not eat fast food and there are only soo many Turkey sandwiches that I can eat before I want to barf! SO this week Matt & I tried to get creative and WHAM best lunch in a while! 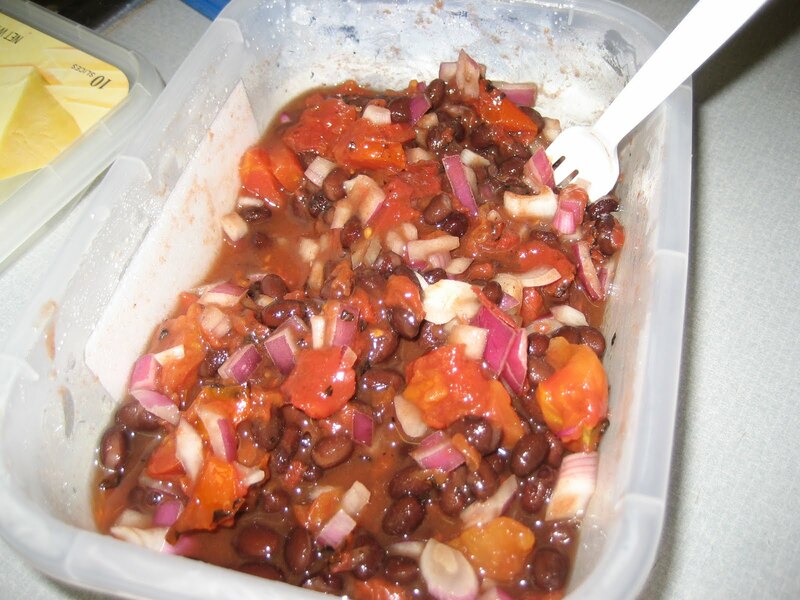 Here is a “Black Bean Relish” I created to put in turkey wraps for a healthy lunch and it is super easy……..
** You will need to drain the 2 can items but they don’t completely drain and that is ok!!! 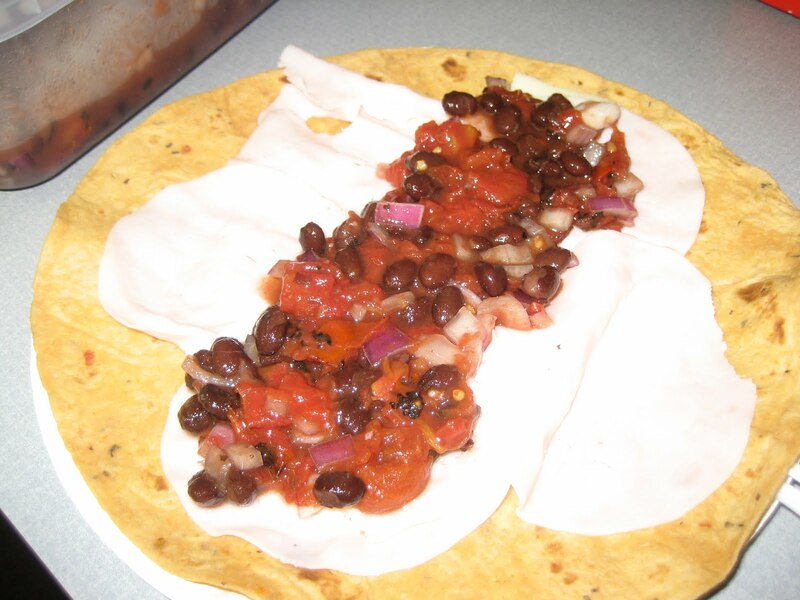 All you do is mix everything together and WHAM ………..super yummy! 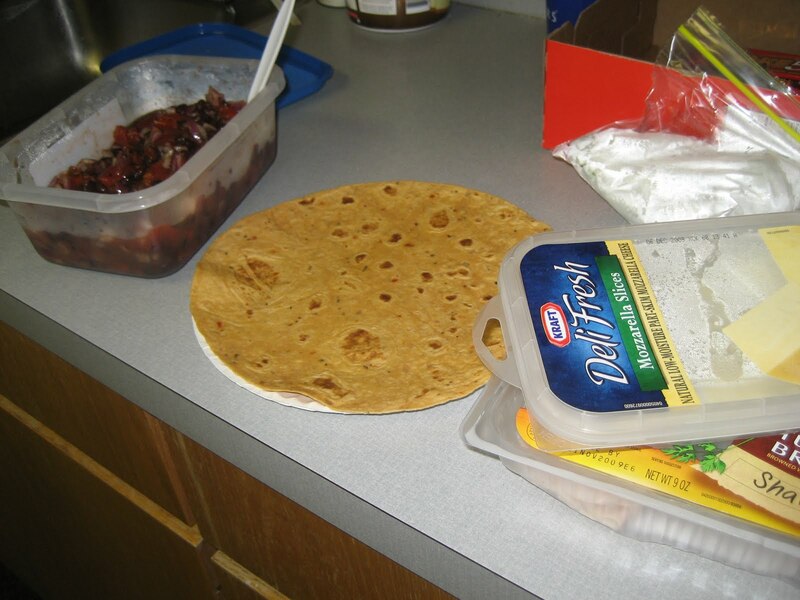 We used Tomato/Basil wraps, mozzarella cheese and oven baked turkey……. And there you go, super healthy and yummy lunch! 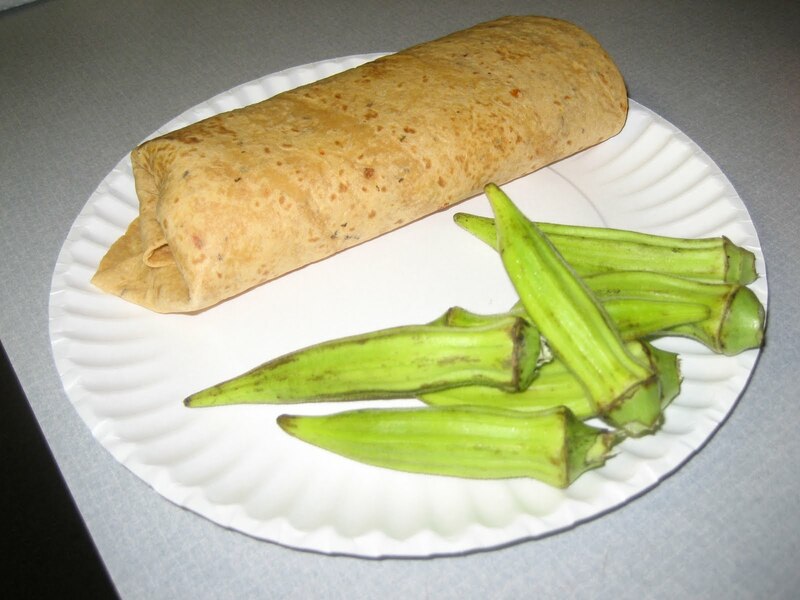 And yes, that is Okra on my plate I love veggies and my mom got some from a farm stand and it was perfect to munch on with lunch! Previous Post ONE Month from TODAY!!! Yum! That looks fabulous! I will definitely have to make that one. I wonder if it will be an okay post surgery treat? I mean, I won't be able to eat much of it, so the full recipe would probably last me a week, but otherwise, I don't see anything in it that wouldn't be acceptable to eat. I'll find out tomorrow at my diet class, I guess.